Waterproofing & Underpinning Contractors | Toronto & the GTA | NTL Contracting | NTL Contracting Inc.
Toronto and the GTA are regions of relatively heavy rain and snowfall, and the soil tends to be moist throughout the year. While the weather certainly makes for a beautiful landscaping and gardening scene, homes and businesses based near the city are thus at risk of leaky basements and floors. That’s why waterproofing contractors are in high demand throughout Toronto and the GTA. But as a homeowner or business owner, should you really bother getting one for yourself? There’s almost no reason not to. In fact, waterproofing is sometimes required by building codes for structures built at or below ground level. 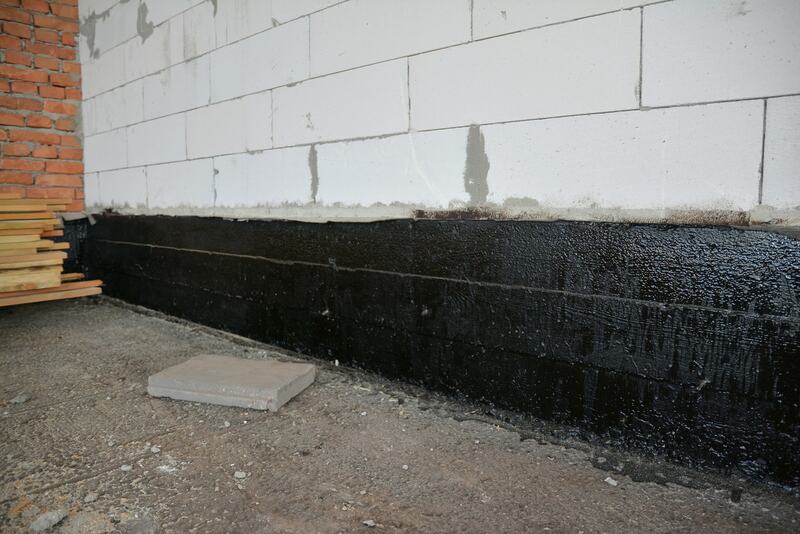 Here’s why you should contact your waterproofing contractors today. Whether you use the basement extensively or not, your building becomes more durable when its foundation is watertight. When water seeps in through the ground, it often warps wooden supports, damages interior furniture, and weakens walls. Not only that, the ground under the building is likely to shift without a waterproofing contractor, causing major foundation issues down the road. And if your business or storage facility has a flat roof, keep in mind that water collects and seeps in easily, increasing the necessity of waterproofing. Storms are notorious for basement flooding. Reduce your risk by installing drains that redirect water and move it away from your home. The cost of a waterproofing contractor’s services is easily paid off by the peace of mind that you can use your basement for storage or recreation safely without the risk of flooding or moisture damage. Don’t trust your entire waterproofing job to a store-bought sealant. Whether it’s the basement, the pipes, or the foundation, seeping water causes damage that not only worsens over time but also potentially costs exponentially more to fix than to prevent. Bad waterproofing is a sign that your home’s insulation isn’t up to par. Addressing the problem will save you hundreds on HVAC bills throughout the months. The aforementioned mold and mildew problem is accelerated by seeping water as well, and you don’t want those health problems infecting your family or employees living in the building. DIY jobs are fun and rewarding, but the work of a waterproofing contractor isn’t something you can do alone. The complex task of determining the source of a leakage, finding a solution, and ensuring proper inspections take place is a job that must be done by certified professionals with the necessary knowledge and experience. If you’re going to do it, do it right. NTL Contracting knows residential and commercial waterproofing better than anyone else in the Toronto and GTA regions. With over 20 years of experience, our staff will provide the best waterproofing, underpinning, and masonry work required by your home, business or property. NTL Contracting is Canada-owned and operated and offers free online quotes. Plus, our work is fully insured, giving you peace of mind. • Waterproofing your residential or commercial premises is an important yet often overlooked task that must be done by a professional. • Uncontrolled water seeping through your home can damage furniture, weaken the structure, and possibly cause flooding. • Strengthen your building’s foundation with NTL Contracting, the kind of waterproofing contractor you can’t find anywhere else in Toronto. Contact us today.